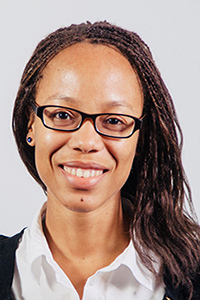 Naila Murray is a senior scientist at NAVERL LABS Europe where she leads the computer vision team. She obtained a B.Sc. in electrical engineering from Princeton University in 2007, and M.Sc. and PhD degrees in computer science from the Unversitat Autonoma de Barcelona. She joined Naver Labs Europe in January 2013 when it was Xerox Research Centre Europe. Her research interests include fine-grained visual categorization and search, visual attention and image aesthetics analysis. Image aesthetics has become an important criterion for visual content curation on social media sites and media content repositories. Previous work on aesthetic prediction models in the computer vision community has focused on aesthetic score prediction or binary image labeling. However, raw aesthetic annotations are in the form of score histograms and provide richer and more precise information than binary labels or mean scores. In this talk I will present recent work at Naver Labs Europe on the rarely-studied problem of predicting aesthetic score distributions. The talk will cover the large-scale dataset we collected for this problem, called AVA, and will describe the novel deep architecture and training procedure for our score distribution model. Our model achieves state-of-the-art results on AVA for three tasks: (i) aesthetic quality classification; (ii) aesthetic score regression; and (iii) aesthetic score distribution prediction, all while using one model trained only for the distribution prediction task. I will also discuss our proposed method for modifying an image such that its predicted aesthetics changes, and describe how this modification can be used to gain insight into our model. Tijl De Bie is currently Full Professor at the University of Ghent. Before moving to Ghent, he was a Reader at the University of Bristol, where he was appointed Lecturer (Assistant Professor) in January 2007. Before that, he was a postdoctoral researcher at the KU Leuven (Belgium) and the University of Southampton. He completed his PhD on machine learning and advanced optimization techniques in 2005 at the KU Leuven. During his PhD he also spent a combined total of about 1 year as a visiting research scholar in U.C. Berkeley and U.C. Davis. He is currently most actively interested in the formalization of subjective interestingness in exploratory data mining, and in the use of machine learning and data mining for music informatics as well as for web and social media mining. 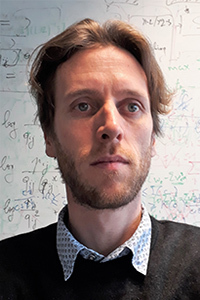 He currently holds a grant portfolio of around EUR 4M, including a prestigious ERC Consolidator Grant titled “Formalizing Subjective Interestingness in Exploratory Data Mining” (FORSIED), as well as an FWO Odysseus grant titled “Exploring Data: Theoretical Foundations and Applications to Web, multimedia, and Omics Data”. Data science is a fast growing research field, which has already made a vast impact on industry and society. The methods that have contributed most to this success tend to be supervised learning methods in various guises, e.g. methods that are capable of labeling something (e.g. which animal is depicted in a given image?) by learning from a large number of examples where the label is known (e.g. lots of images for which it is known which animal is depicted). Such methods are easy to build a business case around: one can quantify how much money will be gained, how many lives will be saved, etc. A part of the data science research community is focusing on different kinds of methods, which I like to call “exploratory data mining” methods. Such methods have a more open-ended goal of providing new insights or making discoveries in data. While such methods have also been widely deployed in practice, their uptake is challenged by the fact that business cases for them tend to be less clear and less quantifiable. Moreover, and crucially, it is conceptually unclear to formally quantify how ‘good’ an insight or a discovery found in data is. This latter problem has been the focus of much research in the past years. This talk will provide a survey of this line of research, with a particular focus on research done funded by my ERC grant FORSIED, and present an overview of current and future challenges.